Louis Choris (1795-1828) was a famous German-Russian painter and explorer. He was one of the first sketch artists for expedition research. He visited the Pacific and the west coast of North America in 1816 on board the Rurick, being attached in the capacity of artist to the Romanoff expedition under the command of Lieutenant Otto von Kotzebue, sent out for the purpose of exploring a northwest passage. 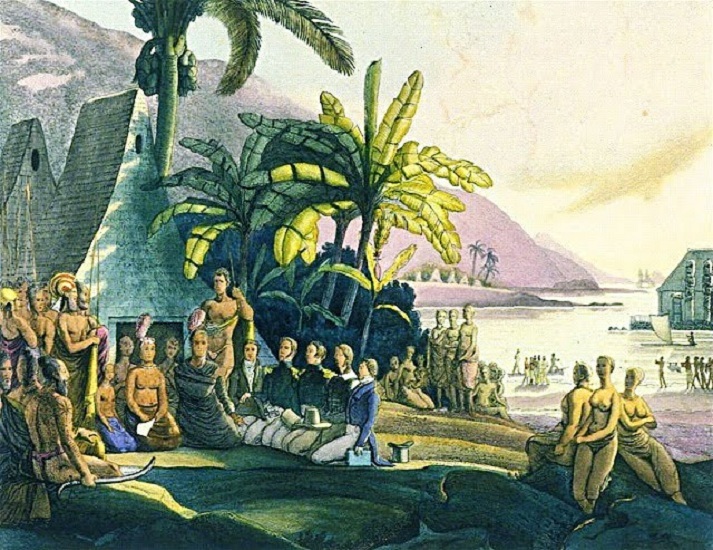 Choris and crew came to Hawai‘i in 1816 and he painted what he saw. The accompanying illustrations may therefore be looked upon as faithfully representing the subjects treated by the artist. This gives us great insight into what Hawai‘i looked like in 1816. After the voyage of the Rurick, Choris went to Paris where he issued a portfolio of his drawings in lithographic reproduction. Choris worked extensively in pastels. The image captures a meeting with Kamehameha I; additional Choris drawings have been added to a file of like name in my Photos section on my Facebook page. The Kōloa District is the name of a modern political-judicial district encompassing the south shore of Kauaʻi. In ancient times, the Kōloa District was part of a larger district called Kona. The Kōloa Heritage Trail travels through four ahupuaʻa. From east to west, they are: Māhāʻulepu, Paʻa, Weliweli and Kōloa. Poʻipū is part of the Kōloa ahupua’a. One meaning of the name Poʻipū is crashing, as in waves crashing. 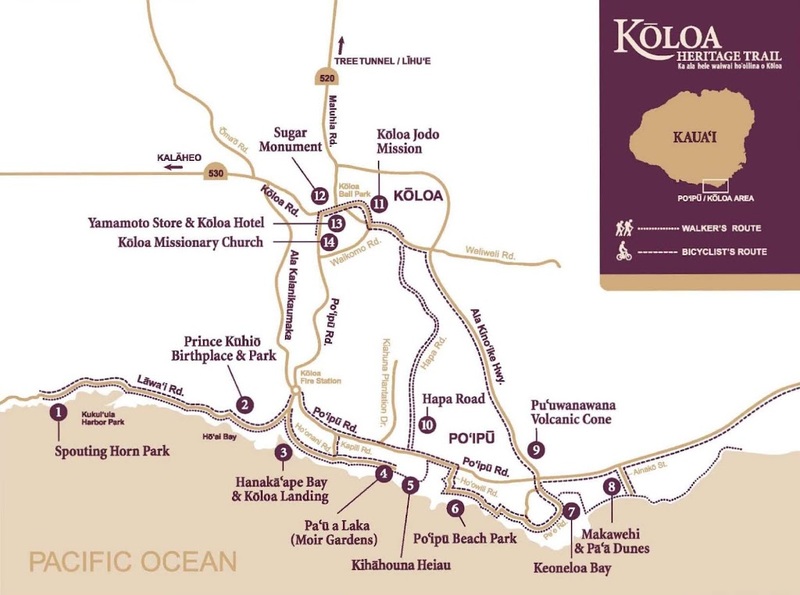 The Kōloa Heritage Trail is a 10-mile walk, bike ride or drive which includes 14 stops and monuments describing the significance of the location. Spouting Horn Park was called puhi, or blowhole, by early Hawaiians. Legends tell of a huge mo‘o, or lizard, caught in this puhi, which was formed when waves eroded softer, underlying rock and wore through the harder top rock. Water rushing into the hole is forced through the narrow opening and shoots skyward. Prince Jonah Kūhiō Kalaniana‘ole was born in Kōloa in a grass hut near this beach to Princess Kinoike Kekaulike and High Chief David Kahalepouli Pi‘ikoi. He became a delegate to U.S. Congress after Hawai`i became a Territory in 1900, serving for 19 years. He worked tirelessly on behalf of the Hawaiian people. Once, Kōloa Landing was the third largest whaling port in all of Hawai`i and the only port of entry for foreign goods. The Sugar industry increased its use until 1912, when better facilities became available elsewhere. Goods and people were transferred by hand and small boat to ships in Hanaka‘ape Bay. What began as a hobby garden by the Kōloa Plantation Manager’s wife became celebrated as one of the world’s best of its kind. Numerous cactus planted in the 1930s thrived in the arid, rocky soil here. Many escaped to surrounding areas to become naturalized over time. You’ll also find water lily-filled lava rock ponds, koi and a variety of orchid and cactus species. The walled heiau (temple) that once stood here was 130 feet by 90 feet; dedicated to Kane, a major god of Hawaii; Hulukoki, a bird god; and Ku-hai-moana and Ka-moho-alii, two shark gods. Three hala-lihilihi-ula trees situated on the outside of the naupaka hedge mark the heiau perimeter. Abundant, easy-to-view marine life in calm waters is a major attraction at Po‘ipū Beach. The endangered native Hawaiian Monk seal and threatened Green sea turtle are frequent visitors. From November through May, the endangered Humpback whale appears. Ancient Hawaiians fished and played here and harvested salt in dug-out evaporating pans nearby. Between 200 and 600 A.D., early visitors arrived at Keoneloa Bay, meaning long sand, likely from the Marquesas Islands. They used the area as a temporary fishing camp, leaving behind stone-age tools, remnants of heiau, or temples, and ahu, or altars. They prayed to Kane‘aukai, an important fishing god. The lithified sand dunes of Makawehi, calm face, and Pa‘a, hard rock, yield fossilized plant roots, bird bones, crab claws and other treasures. Prior to extensive wave erosion, this prominent limestone ridge extended across Keoneloa Bay. During March through November, water birds visit and sea birds nest and roost in the dunes. More than 5 million years ago, a hotspot in the earth spewed lava upward to form the volcanic mountain island of Kaua‘i. Nearby Ha‘upu Ridge and Mountain contain some of the oldest geologic formations. Look for the youngest volcanic cones such as Pu‘uwanawana, within view. Weathered volcanic material produced rich agricultural plains. Lava rock walls near Hapa Road signify Hawaiian habitation ca. 1200 AD, while the road dates to the late 1800s. Nearby tracks once held trains hauling cane to Kōloa Plantation for milling. Hapa Road served as a supply and emergency evacuation route during World War II, and at various times a foot- and bicycle path. Buddhist temples provided Japanese immigrants a place to worship, study their language, learn martial arts and participate in social events. This Jodo Mission used a specialist in temple architecture from Japan to build the large temple’s interior. Hand-painted, wooden ceiling tiles were a gift from the Japanese artist who rendered them. Ancient Polynesians were the first to bring sugar cane to Hawai’i. Starting with its first cane seeding in 1835, Kōloa Plantation was the first in Hawai’i to successfully mill cane commercially for export. It set the precedent for free housing and medical benefits for its immigrant employees from China, Japan, East and West Germany, Portugal and the Philippines. Built at the turn of the 20th century, The Yamamoto Building functioned at various times as a plantation camp store and general store with service station. Behind it, the Kōloa Hotel offered rooms to traveling salesmen and actors. The o-furo, or hot tub, provided a relaxing soak to guests. Kōloa Missionary Church sanctuary is part of a homestead once owned by Dr. James W. Smith, a medical missionary. In 1842, he began a practice of over 40 years, later becoming an ordained minister at The Church at Kōloa. His grandson, Dr. Alfred Herbert Waterhouse, added a clinic to the homestead in 1933. All of these sites are being included as Points of Interest in the Holo Holo Kōloa Scenic Byway; we are working with the Kōloa and Poʻipū communities in preparing the Corridor Management Plan for the Scenic Byway. In addition, I have added images of each site on the Kōloa Heritage Trail in a folder of like name in the Photos section on my Facebook page. As of earlier this week, there are still spots open to attend this event. There was nothing ghoulish about it; rather, it was very effective storytelling. 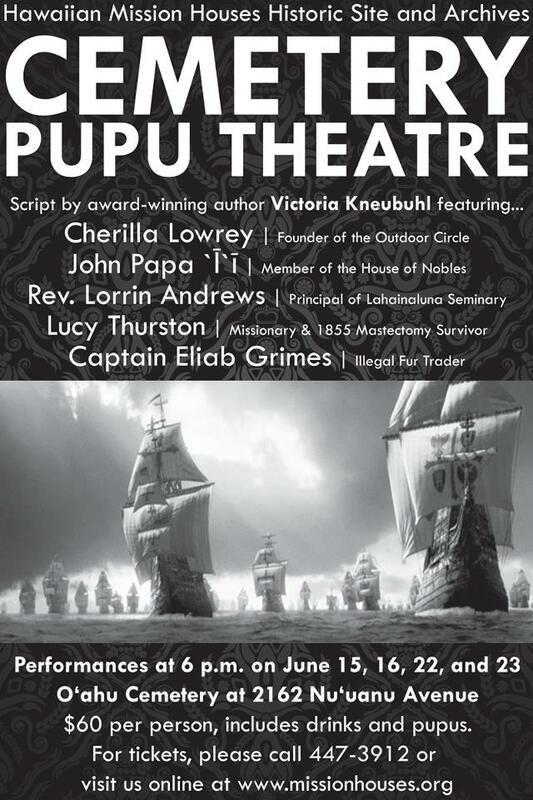 $60 per person – includes drinks and pupu, seating limited, RSVP required. We went last year and are already signed up for this one – I suggest you do, too. It’s lots of fun and a good learning experience. John Papa I‘i (1800-1870) – Served Kamehameha I, II, III and IV; was general superintendent of O’ahu schools; was appointed by the king to the Treasury Board; was a member of the Privy Council; Board of Land Commissioners and was an Associate Justice of the Supreme Court of Hawai‘i . Eliab Grimes (1780-1848) – A fur trader whose voyages in illegal activities brought him face-to-face with the Spanish Armada, and required ransoming a crew which included John Dominis, the future would-be father-in-law to Queen Lili`uokalani. Lucy Thurston (1795-1876) – Wife of Asa Thurston and part of the first company of American Christian Missionaries to the Hawaiian Islands. She underwent a mastectomy without anesthetic in 1855. She died on October 13, 1876 in Honolulu. Lorrin Andrews (1795-1868) – An early American missionary to Hawaii and judge. In June 1831 the mission hoped to establish a seminary on Maui, since it was somewhat centrally located among the Hawaiian Islands. Andrews was selected to run the school called Lahainaluna for “upper Lahaina”. 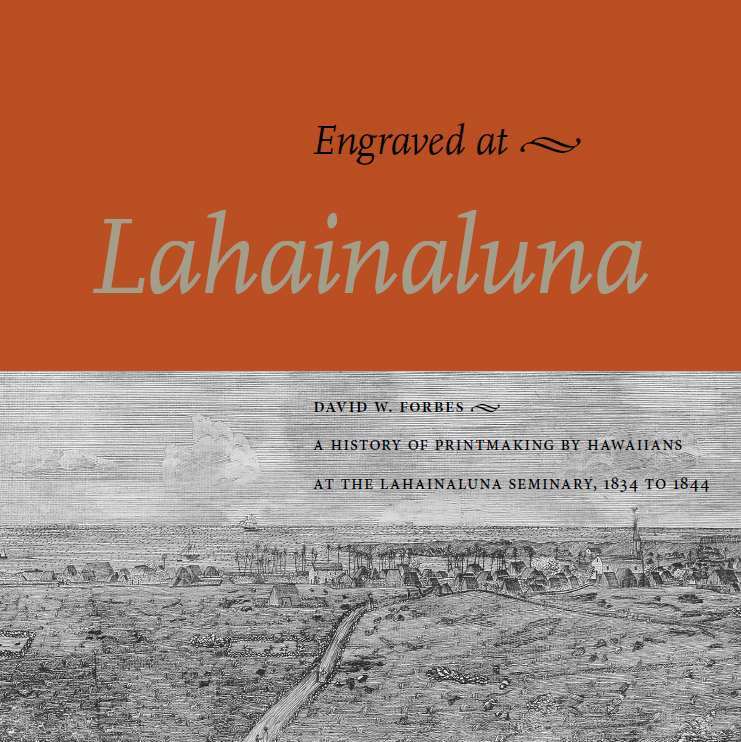 Join the Hawaiian Mission Houses Historic Site and Archives tomorrow, May 30, at 5:30 pm to celebrate the launching of “Engraved at Lahainaluna”! Lahainaluna Seminary (now Lahainaluna High School) was founded on September 5th 1831 by the American Board of Commissioners of Foreign Missions “to instruct young men of piety and promising talents”. In December, 1833, a printing press was delivered to Lahainaluna from Honolulu. It was housed in a temporary office building and in January, 1834, the first book printed off the press was Worcester’s Scripture Geography. Besides the publication of newspapers, pamphlets and books, another important facet of activity off the press was engraving. A checklist made in 1927 records thirty-three maps and fifty-seven sketches of houses and landscapes, only one of which is of a non-Hawaiian subject. That brings us to a newly printed book “Engraved at Lahainaluna,” offered through the Hawaiian Mission Houses Historic Site and Archives. It’s here and being processed for sales – if you like things of Hawai‘i, this is something you will want to add to your collection. Hawaiian Mission Houses Historic Site and Archives invites the public to celebrate the launching of Engraved at Lahainaluna, on Wednesday, May 30, at 5:30 p.m. at Hawaiian Mission Houses. For more information on the book launch, or to purchase Engraved at Lahainaluna, please call 447-3923 or visit www.missionhouses.org. People who know me, know that I try to be early for everything. 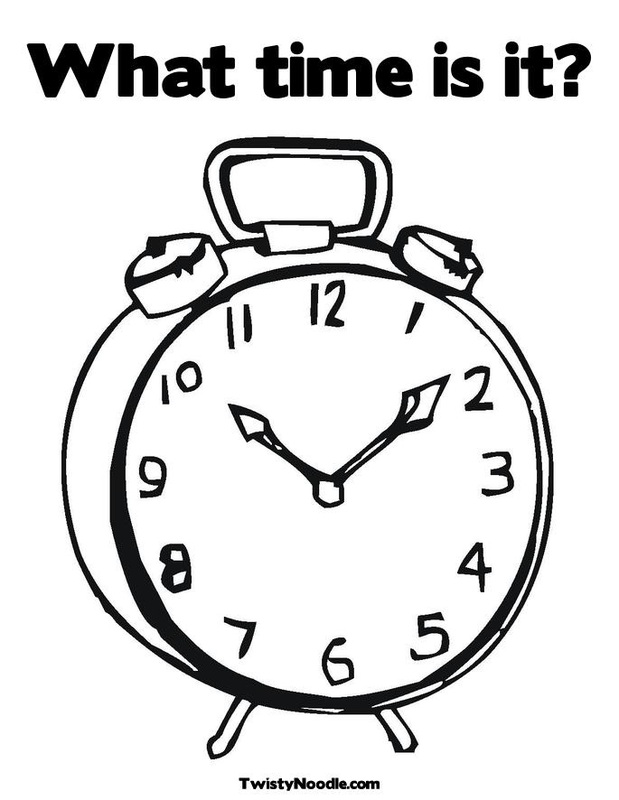 Time is valuable and I don’t want to waste someone else’s time. I’d rather be ½-hour early, rather than 3-minutes late. It isn’t wasted time for me; I use the down time to prepare, or simply relax.